“Eating disorders are diagnosed in individuals who meet specific mental health criteria as well as engage in disordered eating behaviours, including when they eat, why they eat, what they eat and how much they eat (or don’t eat). The most common eating disorders in society today are anorexia nervosa (anorexia), bulimia nervosa (bulimia), and binge eating disorder. Though each of these disorders result in different eating behaviours, each occurs when sufferers can not separate their emotions from their eating habits and this skews their eating behaviours. Eating disorders are present across age, gender, race and income levels, however eating disorders are approximately eight times more likely to affect women than men and are also more frequently found among younger women. This is generally true of eating disorders across the world. The most common eating disorders are anorexia, bulimia and binge eating disorder. Anorexia is an eating disorder in which the sufferer is terrified of gaining weight and decreases the amount of food that (s)he will eat in an attempt to limit weight and body fat. Bulimia is an eating disorder marked by the consumption of a great amount of food in one sitting and then the purging of this food by inducing vomiting or taking laxatives and/or diuretics. Binge eating disorder is also characterised by the consumption of large amounts of food at one sitting but does not include the purging of this food afterwards. Though eating disorders are often associated with different signs and symptoms, they are often connected to low self esteem, poor body image, environments obsessed with thinness, a lack of support systems and possibly even genetics. 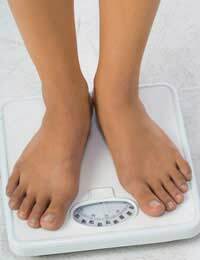 Self esteem, or the emotional image a person holds of him/herself, is often considered to be low in individuals suffering from eating disorders. Low self esteem means that these individuals lack confidence in their own self worth, skills and abilities and it often leads to feelings of worthlessness and disinterest in the future, usually because they are unable to imagine that it will be happy or satisfying. Individuals suffering from low self esteem will often give off a beaten appearance, including walking with their heads down, refusing to meet others’ eyes when speaking, and rarely offering advice or opinions during discussions. Apologising often, even for situations that are not their fault, is also a common trait in individuals with low self esteem. Individuals suffering from eating disorders often have poor body images, or negative (and often skewed) perceptions of their own bodies. Anorexics often believe that their bodies are heavy even when they are not, and bulimics and binge eaters may recognise that their bodies are overweight but remain incredibly dissatisfied with them and continue to eat excessively nonetheless. In addition to weight, those with eating disorders may also consider themselves ugly regardless of their actual features. Many eating disorder experts feel that the present media environment, in which thinness and beauty are held up as arguably the most important traits in a woman, also influences the development of eating disorders. Individuals who do not have proper support systems which applaud their skills and talents are thought to be at particular risk of falling prey to these messages. Finally, research is ongoing into whether or not genetics plays a part in the development of eating disorders. Some studies have discovered that individuals with eating disorders may have relatives also living with eating disorders, but causal links between the two have not yet been identified or accepted by the international medical community. Eating disorders such as anorexia, bulimia and binge eating disorder are associated with a variety of signs and symptoms. Individual factors associated with eating disorders often include low self esteem, poor body image, environments espousing beauty and thinness, a lack of support systems and possibly genetics. For further information on eating disorders, visit with a medical professional or the contact the Eating Disorders Association and/or National Centre for Eating Disorders.